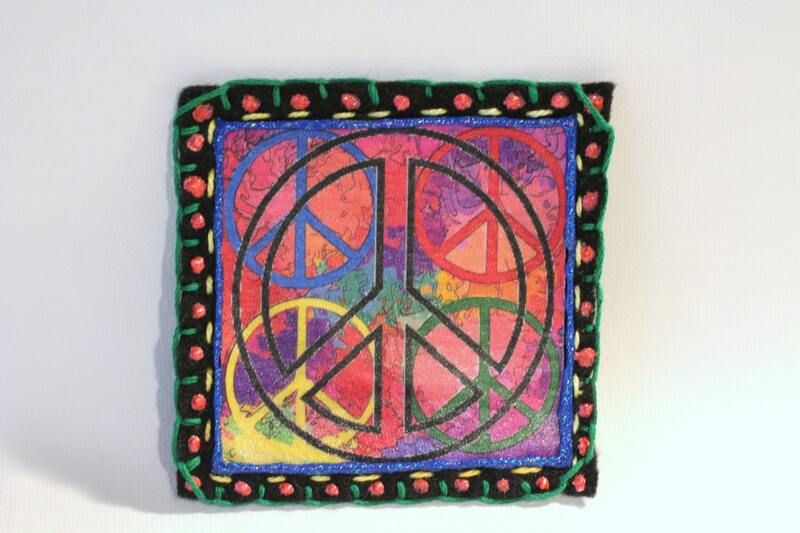 Applique, Hippie Boho Peace Sign Patch for Jeans, bags, shirts or anything that you feel like blinging up. 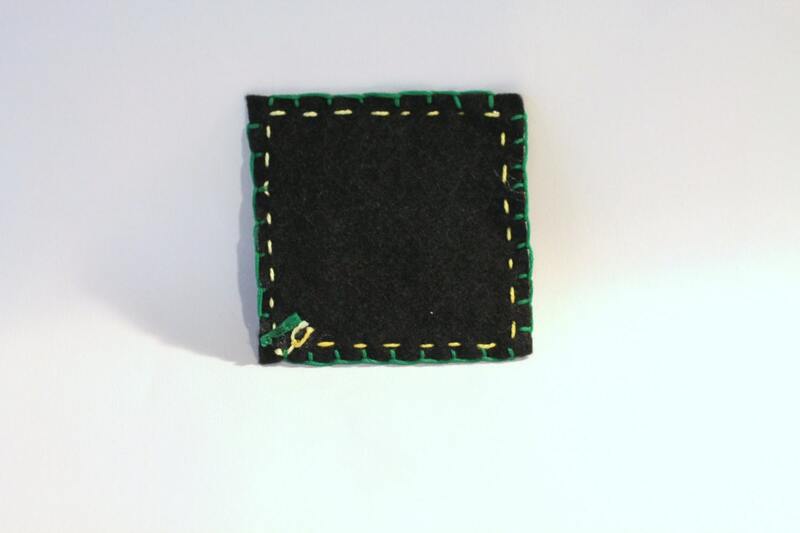 These patches are washable and can be sewn on or glued on using fabric glue. We can print any name in any color. These are great to add your signature style to anything that you wear. Perfect to accessorize tee shirts, backpacks, boots, jeans, hats. 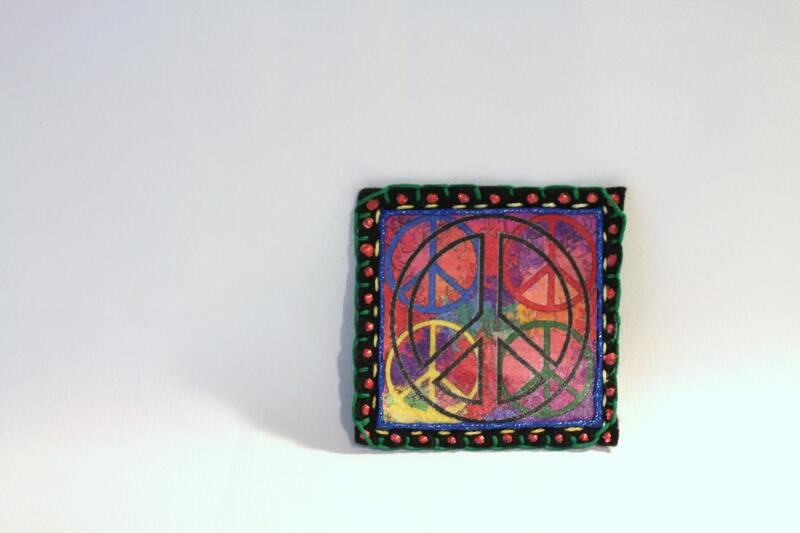 Each patch is hand embroidered, painted and glazed to protect the color over multiple washes. If you have your own artwork that you would like to have made into a patch, just convo me and we can work out the details.